If you are a regular reader of this blog, you will know that I have a problem with San Pedro Alcantara. Before you all rush to form a mob and force me away with burning torches shouting, “kill the monster!” I hasten to add that I have nothing against the good people themselves. When I was living in Marbella in the 80s, the town gave me one of the funniest nightclub moments of the decade – and there were several, trust me. Heading home after yet another late night/early morning in Marbella´s Puerto Deportivo, a group of us decided that we needed a nightcap in San P. The only place that was open was the Ruj nightclub, next to the old bus station. We must have all been fairly plastered because the Ruj was the sort of place that a bunch of big haired and big shoulder padded (it was the 80s) guiris was not welcome. Luckily we had Brenty, our half Australian mate with us, who was considerably larger than the crowd of diminutive Andalucians that turned to look at us as we walked in. “Play it cool, drink your drinks and don’t do anything to draw attention to your self” were Brenty’s instructions. It was all too much for us. I’m sure that Brenty actually spat his drink out, he was laughing that hard, but all was lost in a blur of hair gel, diamante broaches and felt boots as we got the hell out of Dodge, followed by the mulleted Spanish hurling insults. But whatever damage they wanted to visit upon us that evening, is nothing compared to the damage that the current OSP party has done to the town. The ‘visionaries’ that run the place have gone on a remodeling that has seen large swathes of the town pedestrianised – but with no cheap parking around the shops have seen a drop of in trade, the historic palm trees and sculptures that stood at the entrance to the main street uprooted and moved else where, and a ‘modernisation’ of the Church Square, with wavy sunshades that offer no protection and ugly LED lights that shine blue at night. They've even added a fountain with flashing lights that look like they have come from a "club alternativa". Traditional Andalucian, the style that tourists love to see, it is not. The last time I saw this amount of ugly urban architecture was in UK town centres when I was editing a property publication, and at least they had the excuse that the Luftwaffe had flattened them. Looking at the damage the powers that be have wrought on the town, I have to conclude that OSP really does stand for Obliterate San Pedro! Drop everything on Saturday night and get down to Marbella's best live music venue La Catarina for the debut gig of Kalmyka. Kalmyka are due on stage at 22.00 on Saturday - don't miss it! That Friday Feeling - Spain gets happier! As the Marbella news seems to be dominated by Brexit and poisoned dogs at the moment, I thought that we'd get that Friday feeling going with a good news story. According to the latest United Nations report, Spain’s position on the World Happiness Index has risen six points compared to last year. The country now ranks in 30th, up from 36th last year – its highest position since the survey began in 2013. Those ever smiling Finns - think Kimi Raikkonen. OK maybe not - meant Finland was ranked number one, followed by Denmark, Norway, Iceland and The Netherlands. The United Kingdom rose three spots to 15th place this year. It's a hard task being an ageing Wild Young Thing. It's bad enough that one of heroes that you used to rave to in the 90s passed away recently. 'Firestarter' was THE dance floor filler in my London days, although we amended the lyrics. One of the bunch of Marbella misfits that I partied with in London – we had all moved from the Coast en masse at the start of the decade – was from South America, not too far from the Amazon rainforests. We therefore found it hilarious to scream “He's a blowpipe darter, twisted blowpipe darter” along to “Firestarter”. As the saying goes, you had to be there. One of the good things about being over a certain age, however, is that you don't tend to attract the attention of the police. As motorcycle riding teenagers in Marbella in the 80s, we were forever being stopped at police road blocks. Most feared were the Guardia Civil roadblocks. Remember, this was the old school Guardia, complete with their three-cornered hats, fond memories of Franco and casually slung sub-machine guns. They make the modern force look positively touchy feely. Needless to say they were not too impressed with young guiris, especially those with 80s hairstyles and no silencers on their motorbikes. The odd slap here and there taught me a lesson in life that I still adhere to – namely, 'Don't F**k with the Guardia Civil'. I thought my days of alerting police suspicion was long gone, until I ran into a Policia Nacional roadblock outside Puerto Banus the other week. After the recent spate of shootings, I know that the forces of law and order are on the lookout for international hit men, so I wasn't expecting to be ordered to pull over, especially as I was driving a rather battered, Spanish plated, Ford Focus. The sun glass wearing officer leant in. "Turn off your engine", he instructed. And then came the classic question. For a brief millisecond, I thought of a witty response. “You mean apart from the loaded AK47 on top of the five kilos of Bogotá Flake in the boot?” was answer that flashed across my mind. Thankfully, remembering being bounced across a bonnet by the Guardia in the mid 80s, I didn't try that line, but was still ordered out of the car, had to turn out my pockets and was then patted down in full view of the tinted window, luxury 4x4s with foreign plates that were sailing past unchallenged. And, of course, some friends saw me being frisked. Pulling into the petrol station afterwards, I bumped into a glamorous female friend, who commented that she'd seen me being patted down by the 'hunky policeman'. The Local Police of Istán, following instructions of the Delegate of Health, has sealed the access to the Istan Lake. 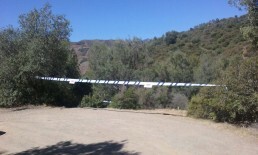 The public access of Zahara de Istán and El Pinillo have been closed off to avoid the possiblility of the public coming into contact with posions after six dogs died in a week. The horror continues in Istan with the death of another beloved pet by poisoning, the SIXTH in a week. 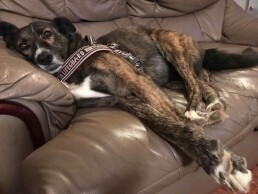 The latest dog to die was Laila, whose owner Lars Walkler is a well-known figure in the area and who formerly ran an activity company based on the lake. "It’s really heartbreaking to write these words to tell you my friends that my beloved Laila became the 6th victim(!!!) this week from some evil person's idea to spread tiny pieces of very strongly poisoned meat along the shores of Lagoland lake centre(my old former finca on the Istan Lake), as well as at the shores of the plots on both side of this property where she grew up, being there so many times, for a swim and watching the events I used to set up there. "I hope that the Guardia Civil get hold of the responsible person - can’t wait to hear they have caught that creep and put him behind bars - for a long time ! "There were no signs of any meat lying around" Lars told Planet Marbella " so it was really small flat price, like a leaf almost but slightly thicker. "Because we knew about things that had happened we had made ”sure” the place was clean. It must have been so tiny, but my 30kg dogdied in 15 minutes. "Whoever is doing this is really evil". Please, do not take your pets or children to the public access at Zahara until police catch this criminal! 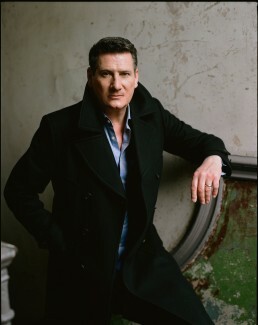 To cut a long story short - Tony Hadley to play Marbella! One of the most distinctive male singers of the 80s will be playing Marbella this summer. On Saturday, August 10, the legendary Tony Hadley, lead singer with Spandau Ballet will be performing all of his hits, including: “True”, “Gold”, “Through the Barricades” and many more. The concert is part of Marbella Music Week at Puente Romano, organised by promotors Rock Lounge, which will also see The Jacksons play on Thursday, August 8. At least four dogs have been reported dead over the weekend in what appears to be a fresh outbreak of poisonings. The dogs all died close to the water's edge next to Zahara de Istan at kilometre 7 on the Istan road, which is one of the two access points to the reservoir. One witness said that a dog died just twenty minutes after swimming in the lake. 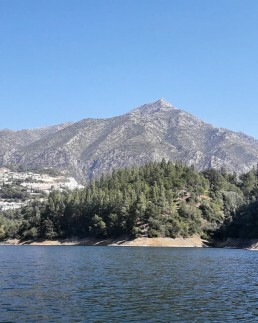 Planet Marbella contacted the authorities at the reservoir, who confirmed that the dogs had died. The Guardia Civil's SEPRONA division have been up to take samples of the water and autopsies on the animals will be carried out later. In the meantime, it is strongly advised to keep animals and small children away from that part of the lake. When I moved into my idyllic cottage by the lake and escaped the madding and frequently maddening crowds on the coast I did so for a variety of reasons. And then there were the health issues – as I stood a higher chance of not getting my face mashed in by a bouncer again if I was living in Istan. It was the quiet life I was after, and with the sun setting over the lake and wild goat grazing on the far bank, it seemed that I was living in a office cube rat's screen saver. Looks can be deceptive, however, as the past few days have proved. First off was my well documented run in with the Wild Boar. 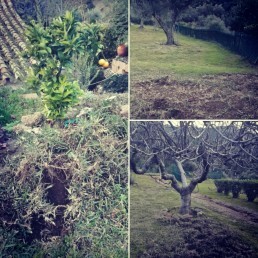 The tusked terrors have redoubled their efforts and last week carried out what looked like a precision bombing operation on the top garden, with turf, stones and the remnants of the shrubbery flung in all directions. Luckily for me, Florin, my unflappable gardener has moved back. As a Romanian ex-paratrooper, he took one look at the devastation, muttered something in a very dark language (I'm guessing a Transylvanian curse) and set about constructing some boar defences. It's been very quiet up there since, although I'm reluctant to check. I might find myself hanging upside down by my ankles from a tree, or much worse, on the wrong end of one of his fiendish traps. It's not just my place that has been lively, however. Istan was rocked by the discovery of a mummified pensioner at Zahara de Istan, one of the more upmarket resorts in the area – so full of wholesome quinoa eating young professionals that looks like a version of 'Dawson's Creek' - that added a dash of David Lynch style macabre horror. And then there was the police raid on a large villa two kilometres up the road that ended with two Camora Mafia fleeing into the surrounding campo. 'Lock your doors and windows' advised the Guardia Civil, 'There are desperate Italians on the loose'. Alicia Duggan at The Bookshop reviews the latest book from the world's favourite wildlife expert. 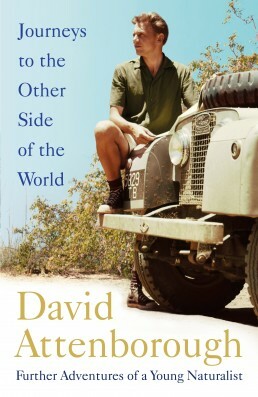 Journeys to the Other Side of the World chart the further adventures of a young David Attenborough - from Madagascar and New Guinea to the Pacific Islands and the Northern Territory of Australia. The world has changed enormously since Sir David Attenborough began his fascinating documentaries over 60 years ago and the manner in which they were filmed and reported set the standards for the modern nature documentary. In his latest autobiography Attenborough delights us with stories of indigenous tribes and awesome wildlife, all delivered with his inimitable charm, wit and warmth.